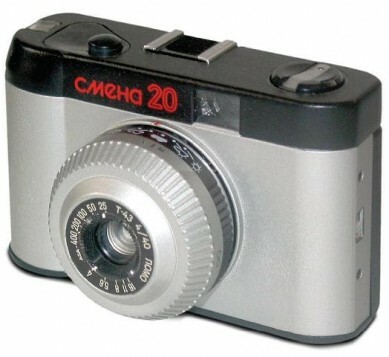 Announced in text-only document at he 1990 Photokina, this camera seems to have been produced in very small numbers. 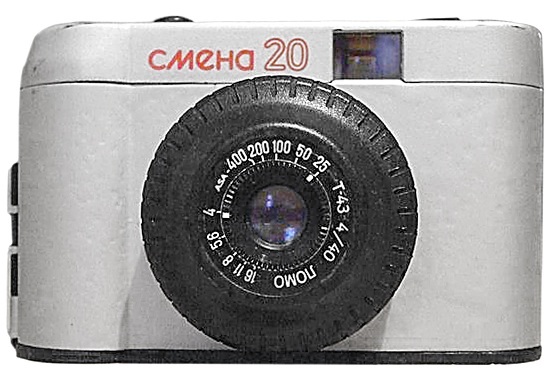 It has the same technical characteristics as the Smena Symbol, but rebodied and only half the weight (200g.. vs 400gr) (source: "The Authentic Guide to Russian and Soviet cameras" by J.L.Princelle, 2004). PK4505. 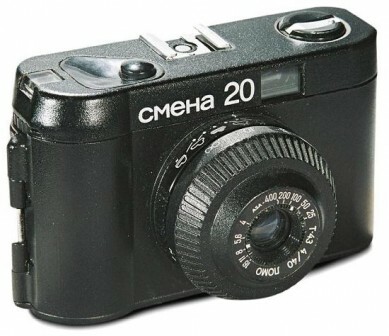 Totally black version of Smena-20 camera. An only known camera was found in Leonid Balashevitch (Russia) collection. 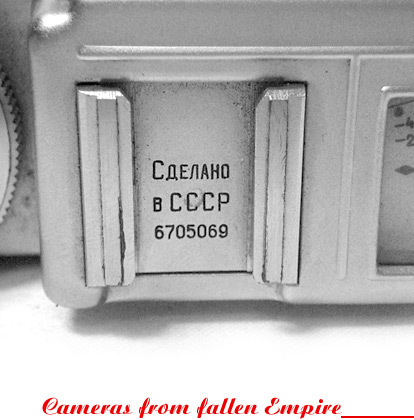 Picture opposite was kindly provided by authors of famous SSK book "1200 cameras from the USSR", 2009. PK4505 - Smena-20 prototype camera. PK4510. Camera visually identical to PK4505, but with different body colour. Red nameplate markings, black lens. An only known camera was sold on Molotok, 2008. 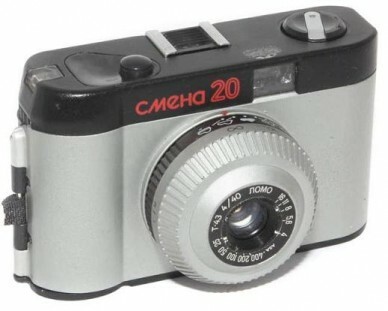 PK4510 - Smena-20 prototype camera. PK4515. Black top plate with nameplate markings in red. White lens. PK4515 - Smena-20 prototype camera.